On the last day of our final road-trip through Sicily, we drove a few kilometers up the coast from Catania to Taormina, the island’s most popular beach resort. Word of its charm had reached our ears from just about everyone we’d come in contact with: friends, strangers in bars, neighbors, Twitter acquaintances. 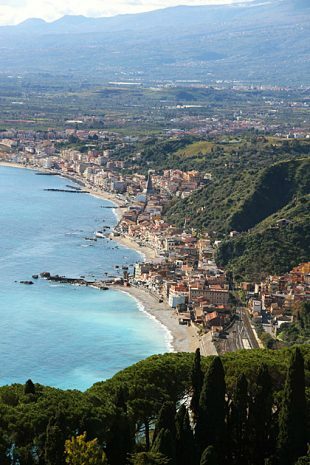 Even my grandmother called to say that we should really visit Taormina. She’s never even been to Sicily and she’s been dead for ten years! Phone calls from beyond the grave are pretty persuasive: we had to go.